Singapore Institute of Technology (SIT) is Singapore’s university of applied learning. SIT upholds the vision of being a leader in innovative learning by integrating learning, industry and community. Its mission is to nurture and develop individuals who build on their interests and talents to impact society in meaningful ways. SIT offers applied degree programmes targeted at growth sectors of the economy with a unique pedagogy that integrates work and study. It also offers specialised degree programmes in partnership with world-class universities. These degree programmes are grouped into five clusters – Engineering (ENG), Chemical Engineering and Food Technology (CEFT), Infocomm Technology (ICT), Health and Social Sciences (HSS), as well as Design and Specialised Businesses (DSB). SIT also aims to cultivate in its students four distinctive traits, or the SIT-DNA, which will prepare them to be ‘thinking tinkerers’, who are ‘able to learn, unlearn and relearn’, be ‘catalysts for transformation’ and finally, become ‘grounded in the community’. SIT will open up new opportunities and broaden new horizons for its students. This is a place where great minds meet to transform dreams into reality. SIT’s singularly talented students will become ‘thinking tinkerers’ – professionals with a mastery of deep specialist skills to help industry solve increasingly complex problems. Through SIT’s applied degree programmes, they will learn to combine theory and practice with ease. Students will be taught to gain a deeper understanding and appreciation for lifelong learning through the precepts of being ‘able to learn, unlearn, and relearn’, so that they remain responsive to new developments in the fast-changing industrial climate. At the same time, SIT encourages its students to harness their talents and passion for the benefit of the larger community they are in and constantly look for opportunities where they can contribute so that they remain ‘grounded in the community’. SIT’s emphasis is to train students to be ready for industry and prepare them to hit the ground running upon entering the workforce. SIT’s uniquely structured Integrated Work Study Programme (IWSP), an integral part of the SIT-conferred and joint degrees, gives students valuable industry experience for at least six to 12 months to develop deep, specialised skills. 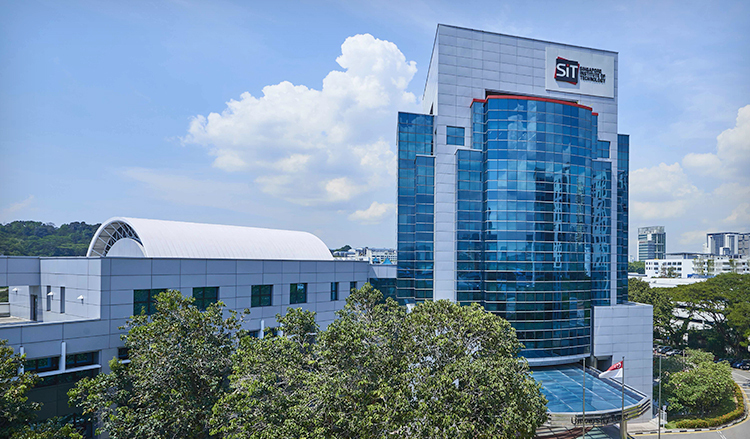 SIT believes in cultivating future leaders for Singapore’s growth sectors of the economy and offers scholarships to nurture candidates with excellent academic achievement, talent, leadership, and a passion to contribute to society for that purpose. The university creates opportunities for students to develop and achieve their goals through these scholarships. Students who demonstrate academic excellence and strong leadership may apply for the SIT Scholarship, which is bond-free and covers the full tuition fee for the duration of the degree programme. It is not only to reward the best students but also to nurture them to be role models in the community and the industry they enter. SIT Scholars are not only bookworms but are leaders and have active involvement in student activities, with a passion to contribute to their industry.